I n 2015 I posted a series of articles concerning the prophesied Gog Magog war with Israel but, it deserved to be updated as much has happened since then. First, let me recap some of what I wrote previously. There may be other nations and people that join with Russia in this attack that are not specifically named, but their purpose will be the same, to destroy Israel. While they may not like or trust each other, their hatred of Israel will join them together for this war. While most of Gog’s confederates have been long identified, some are yet a mystery, such as Gomer and Ethiopia. Gomer could reference western Turkey or Germany and Ethiopia most likely points to modern day Somalia. But Ezekiel is clear, In a coordinated attack, Gog’s armies will strike from the north, south, east and west all at once. While Israel may defend on two fronts or even on three, to defend against four frontal attacks would likely overwhelm her in the natural. And remember, if Russia is Gog, her favorite mode of attack is to land paratroops first to secure key points. There would likely also be “5th column” attacks from within Israel by Palestinian terrorists. Recent signs in the heavens, such as the comet ISON and the Blood Red Moon Tetrarch of 2014 and 2015, may signal that these events are about to happen. When these blood red moons occurred in 70 AD they ended over 3000 years of Jewish rule in the nation of Israel. Perhaps they will now signal the complete restoration of the land of Israel? If 300 Israeli trumpets caused that much confusion, imagine what would happen when God Himself blows the trumpet! Ezekiel records that only a sixth of Gog’s armies will survive. But God does not stop with the armies; He causes “fire to fall on Magog and those who live in safety in the coastlands.” Is this fire nuclear or is it God’s supernatural command of the elements? One thing is clear, the people of Magog will be judged for their anti-Israel and anti-God stance as well as their armies. Who the ‘coastlands’ represent is not as clear. Some believe this represents the lands of Gog’s allies. But, I believe it may represent those of the west who chose to let Israel face this threat alone, thinking they would be safe from the conflict. The word translated ‘coastlands’ can also be translated “continents”. It could be a reference to “Tarshish and all the young lions”, which would include England and the United States, etc. Perhaps it represents a preemptive attack on the U.S. by Russia, or Iranian terrorists, to insure we do not get involved. One thing is certain; when this battle is over, Israel will know the name of the LORD and the nations of the world will know that God is the holy One in Israel. People will be burying Gog’s army for seven months. Men will be continually employed to travel throughout the land looking for remains and marking their location for burial. It almost sounds as if they will be contaminated, which could suggest nuclear radiation. But, also in Judaism any dead body would represent contamination. A special place of burial called the Valley of Hamon Gog will be made on the east side of the Dead Sea, an area presently controlled by Jordan. So what happens to Jordan? Have they already been destroyed in the Psalm 83 war? This war will usher in great changes in the world. For one, all the dispersed of Israel will be brought home. There are yet millions of Jewish people living in other countries such as the United States, Russia, European countries and others of South America. The ‘Aliyah’, or return, has not yet been completed. They will need more land to settle them all. The war described in Psalm 83 would yield this land. Another major change will be the breakdown of Radical Islam and I expect a great many Muslims will be turned towards the LORD. 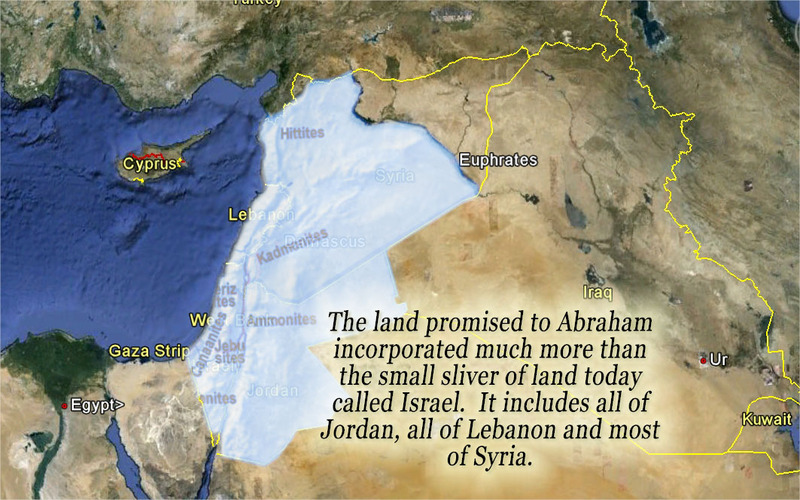 Israel’s borders will be extended; probably to include much of present day Jordan, much of Syria, and much of Lebanon. This is the area promised by God to Abraham and it is the area controlled by Solomon during his reign. After Russia is destroyed and probably America is destroyed or weakened significantly, the anti-Christ government in Europe will begin ascending; after all, there is never a ‘power vacuum’ for very long in the world of politics. According to the prophet Daniel and the Apostle John, it will begin with a ten nation structure that will give its power to the ‘beast’ (Revelation 17). He will make a seven year treaty with Israel and I expect the Jewish Temple will be rebuilt during this time. What is truly amazing is that when God so clearly shows His care for Israel in just a few years they will sign a ‘covenant of death’with the anti-Christ (Isaiah 28:15; Daniel 9:27). Many Bible scholars believe this war is about to break out. One of the signs is the sudden turning of Turkey against Israel. One of the confederates of Gog is listed as Beth Togarmah which has always been understood to be the area of Turkey. But, until recently Turkey has been friendly toward Israel, even trading with her. However, the new leader of Turkey has clearly turned against Israel in a bid to appease its more radical neighbors, such as Syria. In the light of these points, we had Hillary Clinton, as Secretary of State, giving away to the Russians sensitive data on our nuclear armaments and missile defense system and the present Secretary of State, John Kerry, hasn’t done much better. President Obama has indicated personally and through diplomatic channels that if Israel doesn’t do what he wants, they can forget U.S. help. Of interest is the fact that Ezekiel doesn’t seem to include the U.S. in any defense of Israel. peace maker, is quietly moving in for the kill against Israel, bringing in 1000’s of the same mercenary troops they used to take Crimea. They are also allowing radical groups like Hezbollah to move into position against Israel. When Israel complains to the United States pointing out the obvious, Trump seems to be strangely unavailable. I say ‘strangely’ because he talks such a strong game of support for Israel. I also notice he has not yet moved the US embassy to Jerusalem, which he promised to do. Major wars do not take place without large build ups and Russia, Iran, and Turkey appears to be doing just that. If you read my other posts on the Gog Magog War you will see there is a strong possibility that nuclear weapons are used and Russia already has nuclear weapons on site! Russia was caught red-handed in 1982 trying to promote an invasion of Israel, this time they will be much more prepared. They now have naval ports and airfields in Syria and they are bringing in troops and armaments. Remember, it is God that states, “And I will turn thee back, and put hooks into thy jaws, and I will bring thee forth, and all thine army …”. Russia, Iran and the others may think they are in control but, it is God that brings them forth to judgment. We just better not be for anyone God has said He is against!